You’ve probably heard by now what an amazing elixir natural oils can be for beauty. They’re great moisturizers, can help with anti-aging and the wide array of different plants the oils are created from have numerous skin nourishing properties. 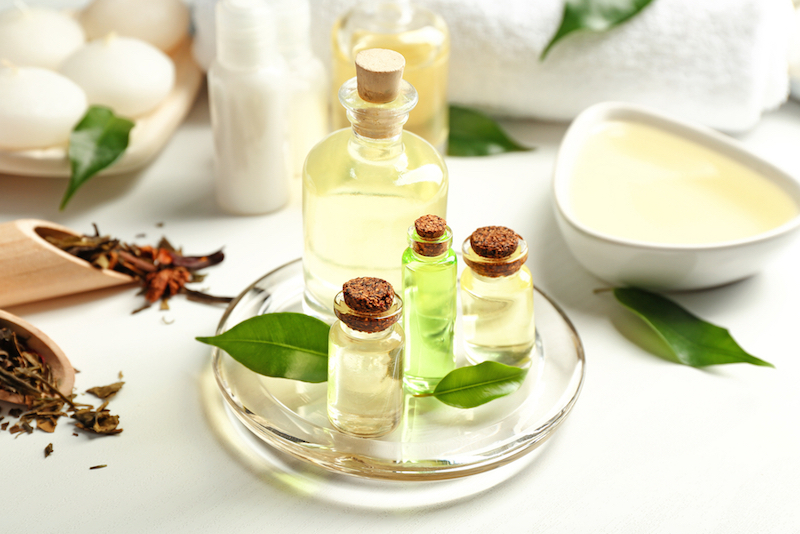 It might be fun to infuse your own oils for beauty uses. You can customize what is in them easier, and it can make you feel like something of an old wise woman crafting with herbs. Read on to find out how to make homemade infused oil. To start, you’ll need a carrier oil which can be grapeseed oil, sweet almond oil, jojoba oil, olive oil, fractionated coconut oil (a type of coconut oil that remains a liquid at room temperature), avocado oil, hemp seed oil, sesame oil, sunflower oil or rosehip oil, to name a few. Basically, you’re looking for any heavier oil that’s pressed from the fatty proteins of a plant and doesn’t have a strong scent itself. Any of these will deliver plenty of moisture to the skin. Aloe vera: A natural skin care favorite, it helps heal, soothe and moisturize skin. Rose: Refines skin’s texture and is a great natural toner. Chamomile: Works as an anti-inflammatory and is good for reducing fine lines. Lavender: Helps skin regenerate and is good for sunspots and scars. These are just some common ideas to get you started. You may want to research into other herbs for added benefits depending on your skincare needs. There are several ways you can go about getting your herbs. You can find pre-dried herbs at a reputable herbalist or online seller. If you want to get really DIY with it, you can also find your own fresh, organic herbs. You can garden them, pick them or buy them fresh. If you end up finding your own fresh herbs, you’ll want to strip away the stems or other undesirable parts. For instance, if you have roses, just use the petals. Lay your herb out and let it dry for however long it takes for the herb to be dry to the touch, but not brittle. This will most likely take about a day. There are tons of ways to infuse oil, but the easiest way is to go with cold infusion. Fill a jar almost to the top with the herb, then add enough carrier oil to cover the herbs. This method will take patience, as you need to let the oil and herbs sit in a dark, cool place for four weeks. At the end of the four weeks, strain the herb out of the oil, making sure to squeeze the herb to get any remaining oil and essence out. These oils will typically keep for a year, but make sure to throw them away if the smell seems off. Store the infused oil in a cool, dark place.